Bass—it's where rhythm meets melody, creating a righteous groove that forces you to move with it. 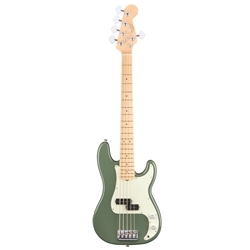 Without the Fender Precision Bass, the original electric bass, dance floors everywhere would be empty. As music evolves, our instruments change in lockstep; the end result is today's version of this seminal instrument—the American Professional Precision Bass V.